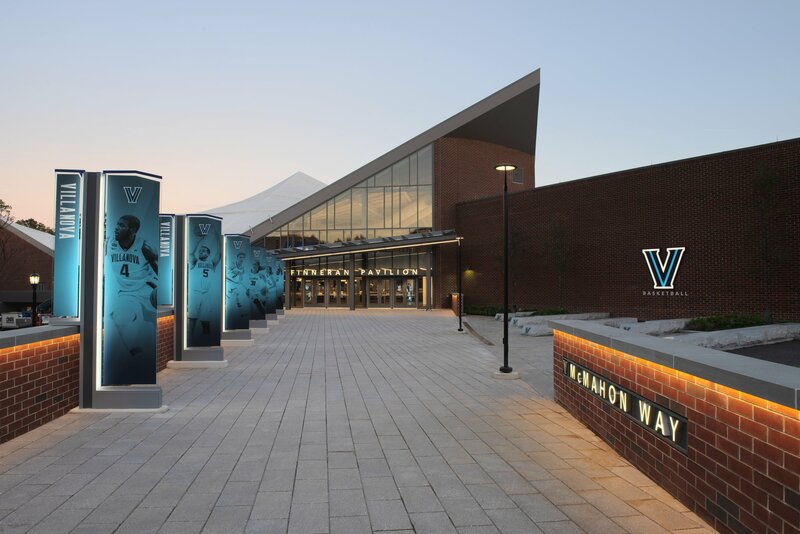 After undergoing an extensive renovation, Finneran Pavilion was reopened by Villanova University on Friday. Extensive work had been taking place at the venue previously know as The Pavilion, as it was undergoing a major renovation that began after the 2016-17 basketball season. The $65 million project was elaborate in scope, as it included a relocated and renovated main entrance, along with new seating, a 360-degree concourse, new clubs and premium areas, and technology improvements such as upgraded Wi-Fi and new audio and video systems. The building, which originally opened in 1986, held its grand reopening Friday night with the annual “Hoops Mania” celebration, where the 2018 national championship banner was raised and players received their rings. Jackson said the mission now is working out the bugs because “we’ve got things we’ve got to figure out and then we have to deliver. “We have to deliver on fan experience and you don’t know that it happens until you go through a sold-out game and have everybody packed in here,” he said. “You have to make sure the concessions are queued the right way and everybody’s parking has been thought through. We’ll have hiccups and we’ll have headaches, but we’re excited about it. Finneran Pavilion is named in honor of alumnus William B. Finneran, who gifted $22.6 million to the project. The arena originally opened in 1986, and was closed for all of the 2017-18 college basketball season in order to accommodate the construction schedule. Image courtesy Villanova University Athletics.